Our latest visit to Disney World saw us adding one more tumbler to our Disney Parks Starbucks Tumblers Collection. 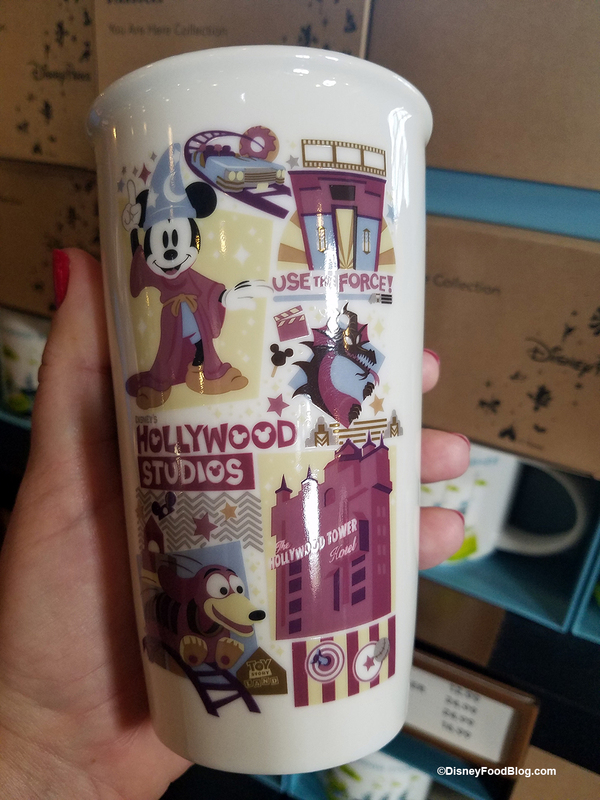 This time we spotted the brand new Hollywood Studios Starbucks Tumbler in Trolley Car Cafe. 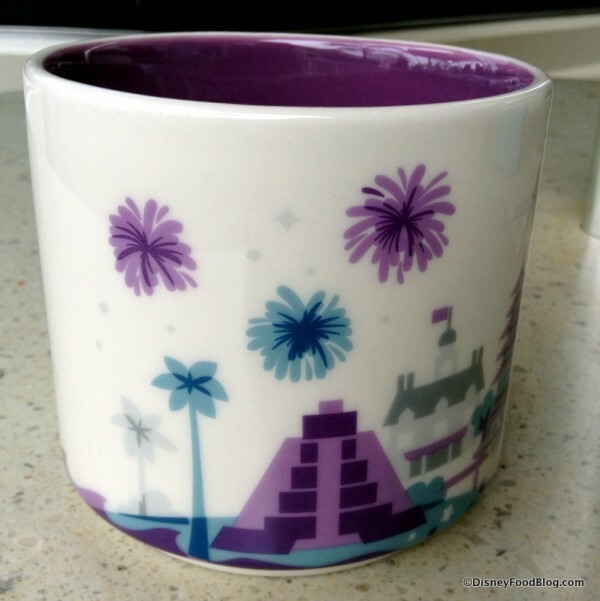 This tumbler is jam packed with images and references to rides and attractions in the park, just like the designs on the Epcot and Animal Kingdom versions of the tumbler in this collection. 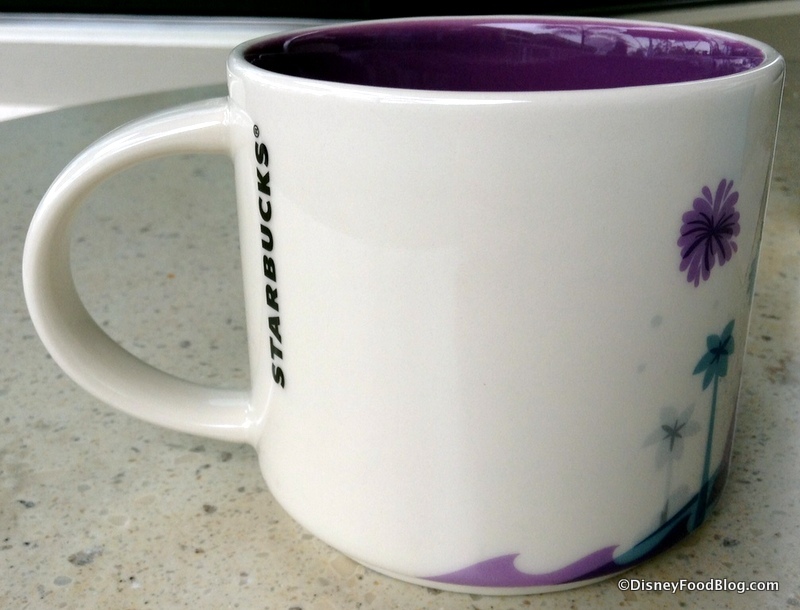 Review: Is Starbucks’ Halloween Witch’s Brew Spellbinding or a Curse? While we were in Disney Springs celebrating the re-opening of the World of Disney store, and finding attraction spirit jerseys we stopped at Starbucks to try out their limited-time Witch’s Brew Crème Frappuccino. 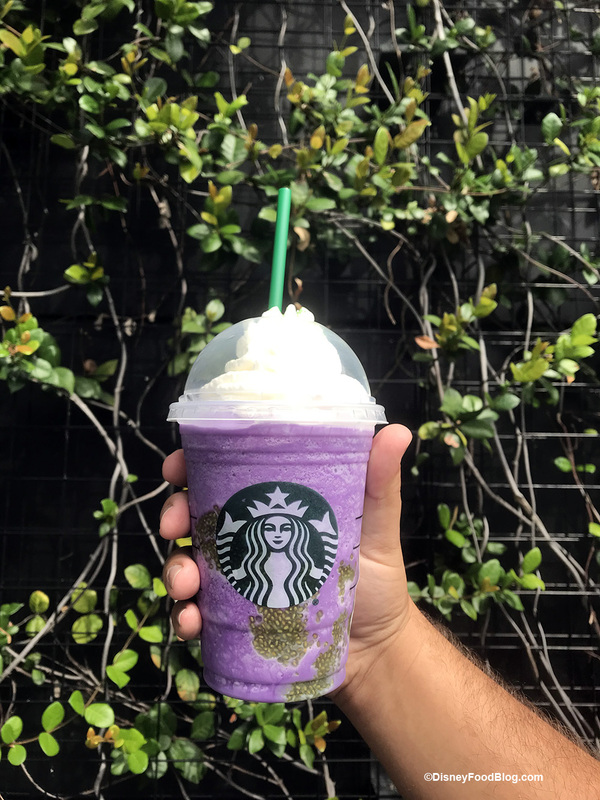 Witch’s Brew is this Halloween’s specialty, limited-time/until supplies last, Frappuccino following in the footsteps of last year’s Zombie Frappuccino and other limited time Frapps like the Unicorn and Mermaid. Disney World Starbucks locations will be operating on limited hours today — May 29, 2018 — to take part in mandatory company-wide training by Starbucks. HAPPY HOLIDAYS from the Disney Parks Starbucks shops! 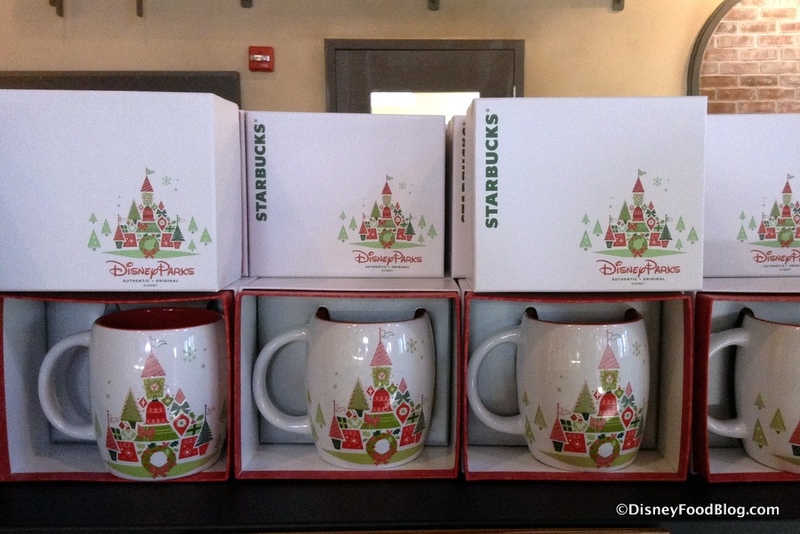 If you’re spending any part of your holiday celebration in Disney World, you may want to let everyone know you were there with one of these Starbucks Holiday Castle Mugs! SO cute! I simply can’t get over how fast this year is moving! 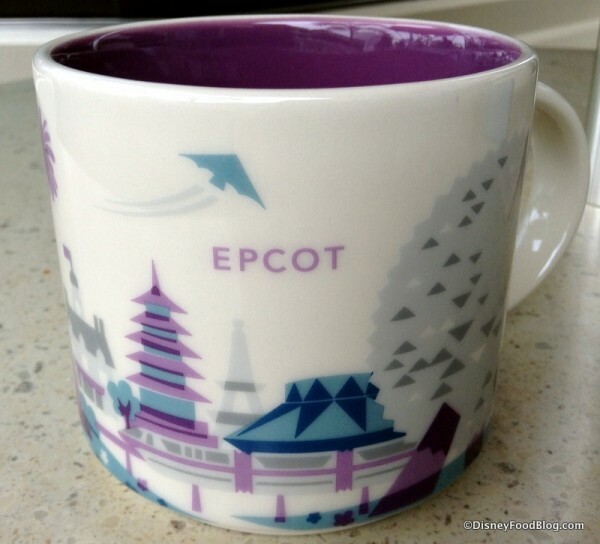 We’ve already reached the end of April, which means in just a few weeks events like Star Wars Weekends, Magic Kingdom’s 24-Hour Day (both in May) and the return of Frozen Summer Fun this June will start to usher in the summer season at Disney World. But that’s not all there is to look forward to! 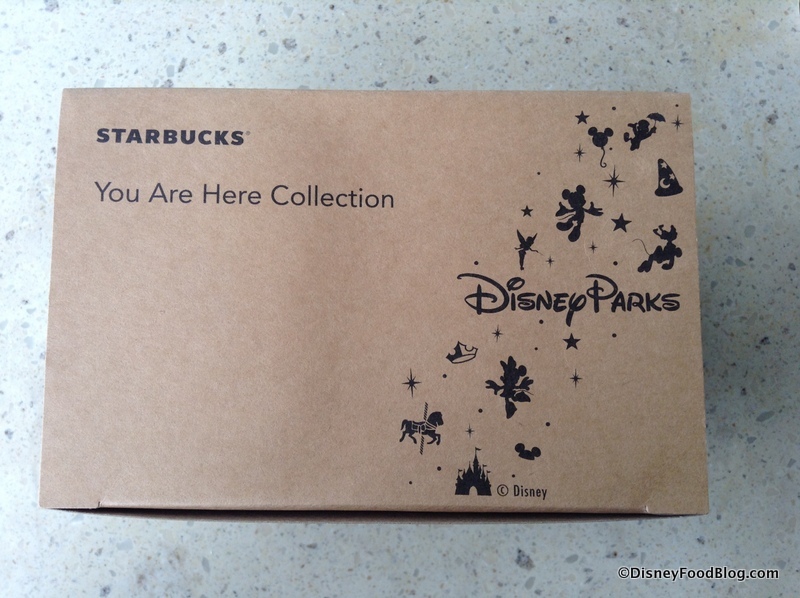 The anticipated opening for the final in-park Starbucks is this summer, too. It’s coming to Animal Kingdom at what was formerly the Creature Comforts merchandise location. 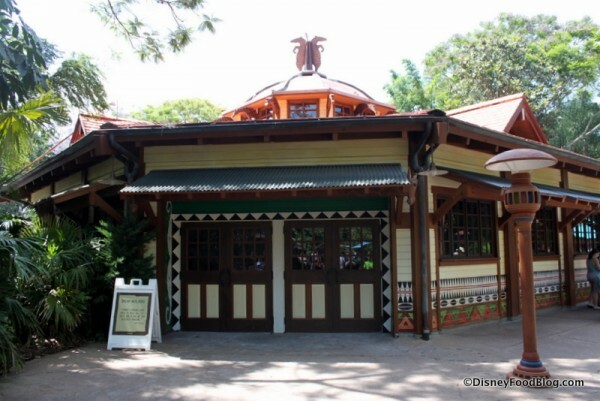 And I must say, of all the Disney Parks Starbucks (the others being Magic Kingdom’s Main Street Bakery, Epcot’s Fountain View, and Hollywood Studios’ Trolley Car Cafe), I’ve always been most curious as to how Starbucks will be themed to fit into Animal Kingdom’s Discovery Island. Many of the shops and food stops in Discovery Island are decorated with brightly colored signs and murals (take Pizzafari, for instance) as opposed to the deep greens and browns we often associate with Starbucks in their typical locations. And this was definitely true when the building served as Creature Comforts — think bright orange, purple, and teal. 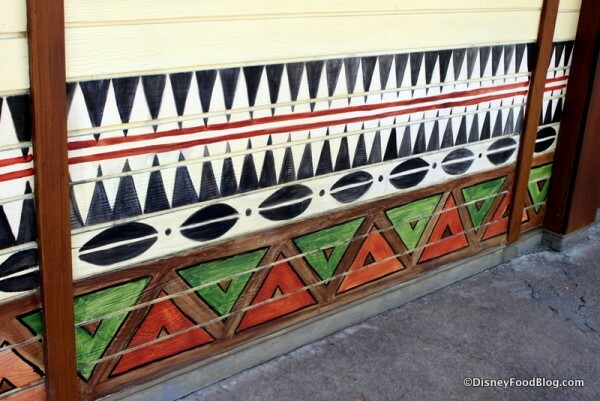 Granted, none of the in-park locations are what you would call “typical” Starbucks, but the unique beauty of Animal Kingdom offers the potential for some truly special themeing. And now is as good a time as any to explore a little further of what we can currently see, which is the outside of the building. You’ll notice that the vivid colors from Creature Comforts have been toned down significantly, yet there are still some unique features that you won’t see at the other Disney Parks Starbucks locations. 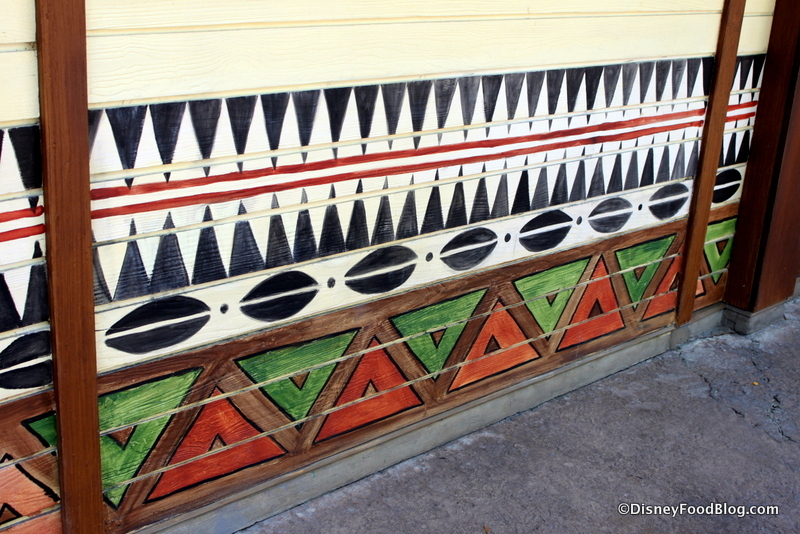 Check out the coffee beans playing a role in the painted patterns along this wall border. 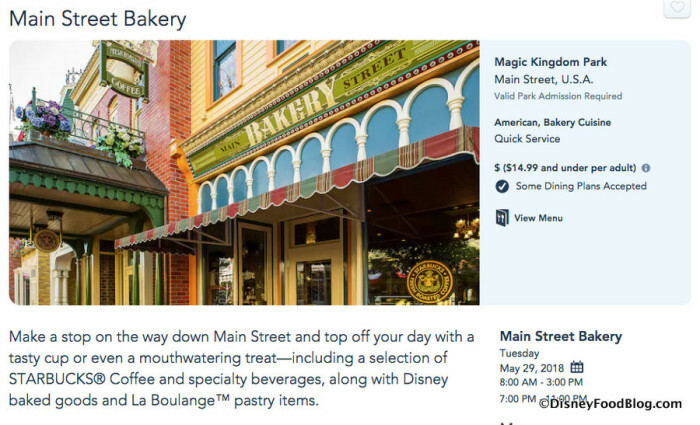 Time to ‘fess up: I’d never tried one of the breakfast sandwiches at Main Street Bakery… or at any of the other Disney Starbucks locations. 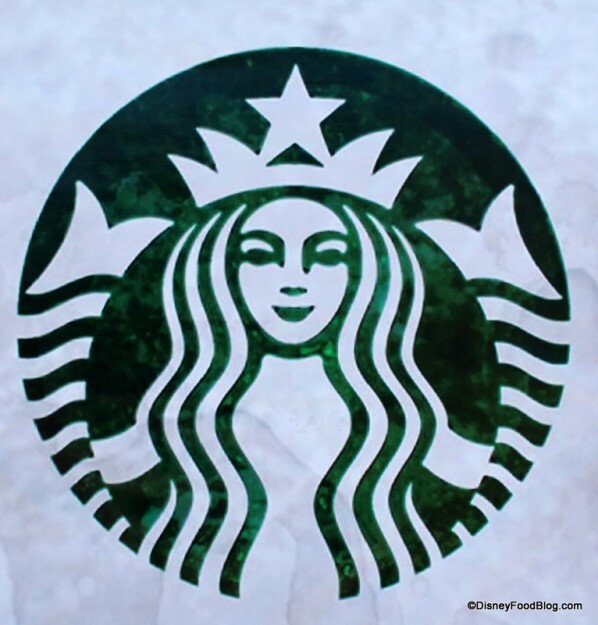 It’s not so much that the options aren’t appealing, but I could get the same thing three minutes away from my own home at the Starbucks down the street. And about three minutes down the road from there at the next one. And about four minutes from… well, you get the idea ;). 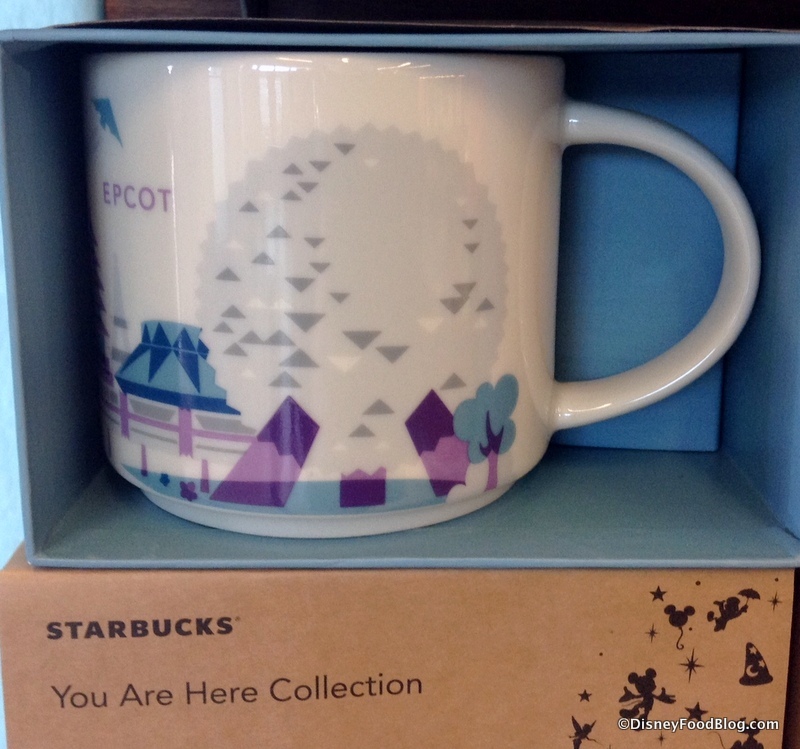 But, no matter what your thoughts are on the availability of Starbucks at the parks, it’s here to stay. 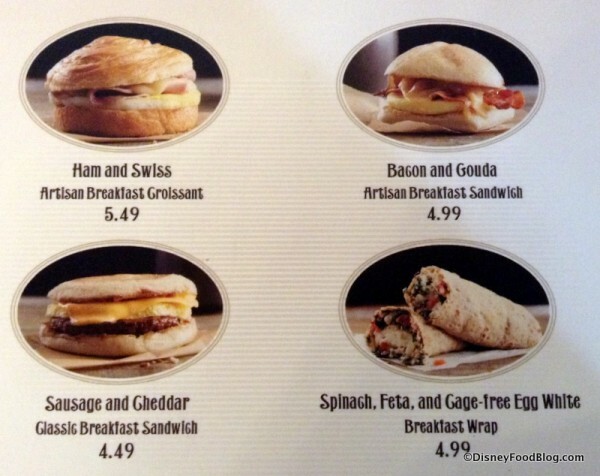 And as such, Starbucks Breakfast Sandwiches are a part of the Disney dining scene, so it’s time we grab one for review here on the DFB. Participants on the Disney Dining Plan might be especially interested to know that the Breakfast Sandwiches are available on the plan as part of one Quick Service meal entitlement, which also includes your choice of beverage. While I picked up my breakfast sandwich at Main Street Bakery (Magic Kingdom’s Starbucks location), the same offerings are available at the other in-park Starbucks as well: The Trolley Car Cafe at Hollywood Studios, and Epcot’s Fountain View. 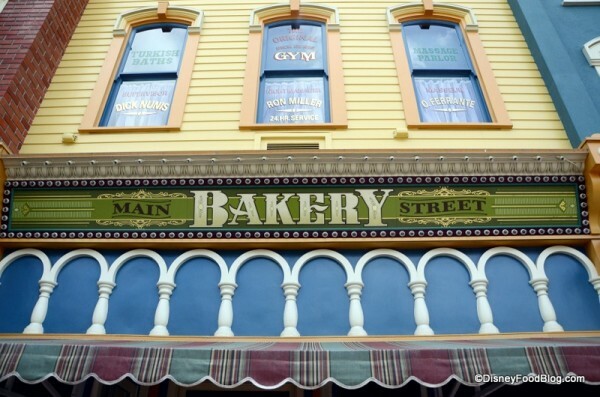 Choices include a Ham and Swiss Croissant, a Bacon and Gouda Sandwich, a Sausage and Cheddar Biscuit, and a Spinach, Feta, and Cage-free Egg White Wrap. I went with the Bacon and Gouda Artisan Breakfast Sandwich because … well, ‘cuz, bacon. Also, the roll looked most appetizing to me of the bread choices. 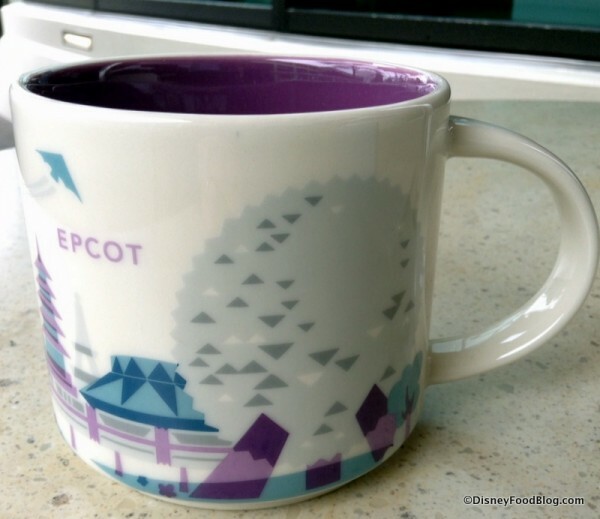 … we grabbed one to show you each side of the design (if a circular mug indeed has a “side,” that is). News! Starbucks Signage is Unveiled at Disney’s Hollywood Studios! 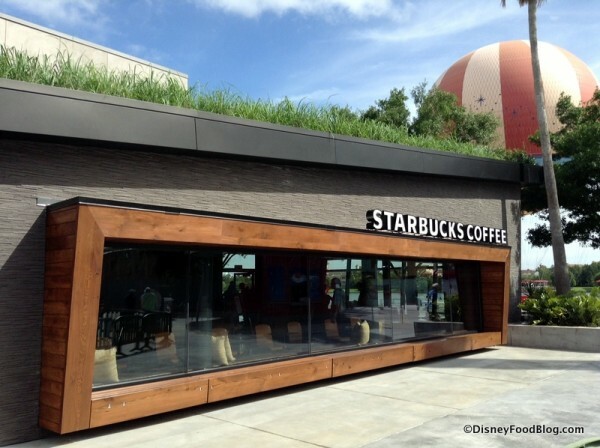 Yet another Starbucks — the fifth in Walt Disney World — has a grand opening right around the corner. 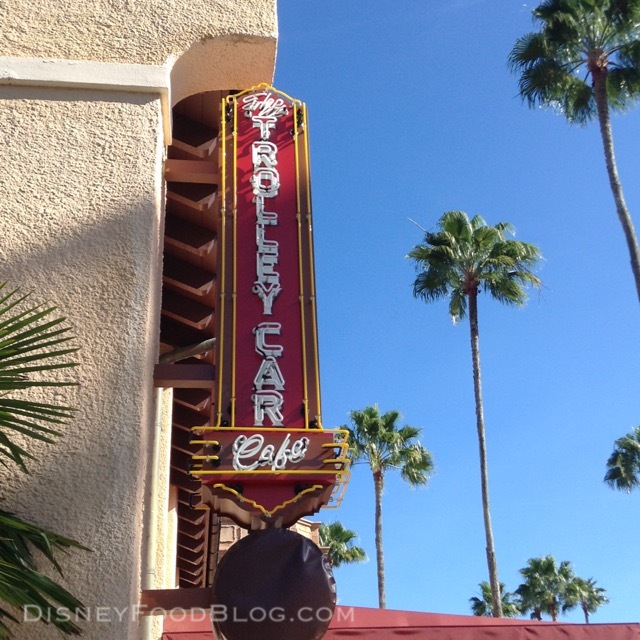 And today we got a glimpse of some of the fun signage for this new location in Disney’s Hollywood Studios! 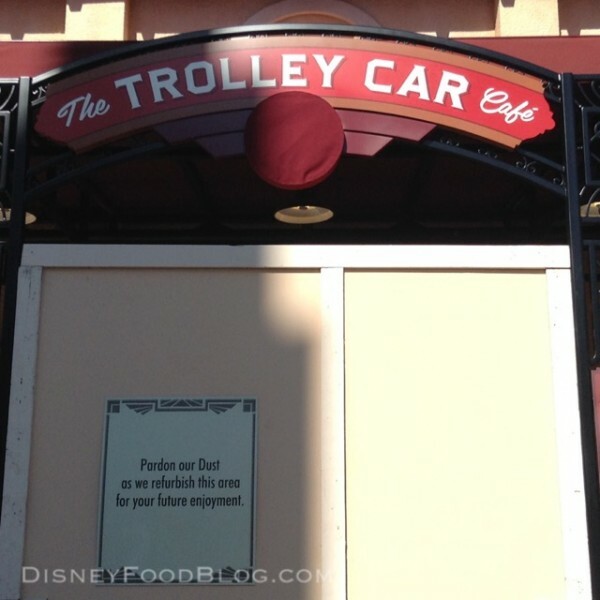 Themed after the old time trolley cars that go hand in hand with Hollywood’s heyday, this Starbucks will be an ideal spot for Disney guests to grab coffee and a bite to eat on their way to the park’s biggest attractions. Maybe the inside will be a bit like Fiddler, Fifer and Practical Cafe in Disney California Adventure in Disneyland Resort — another location themed to about the same time in Walt’s history. 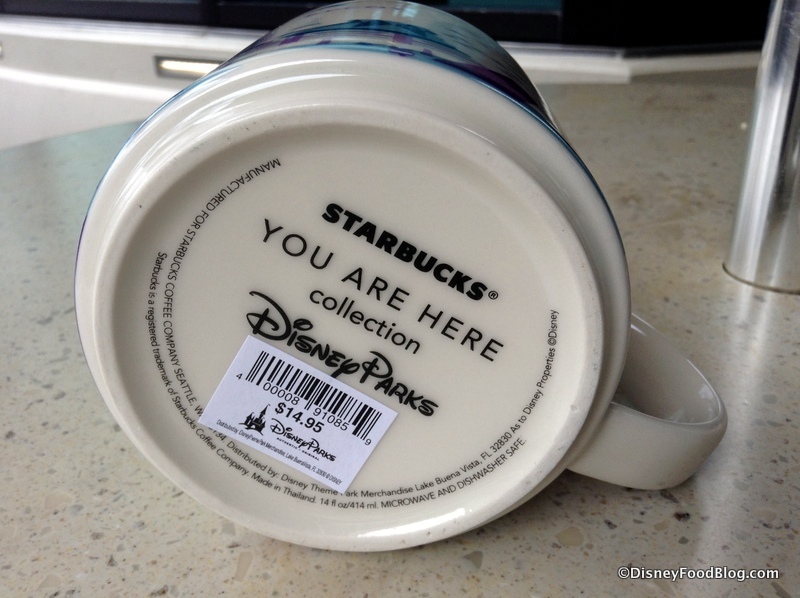 Attention, Starbucks fans: now you never have to leave your favorite hangout! 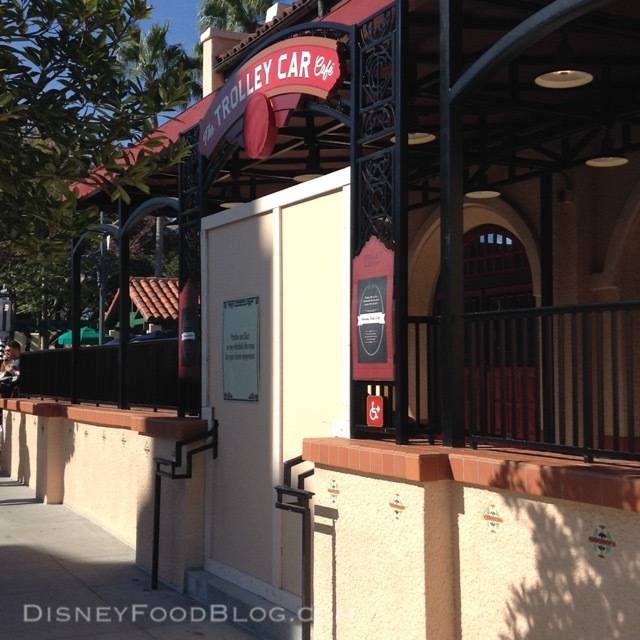 At least not if you’re visiting the Downtown Disney West Side location. Recently, the coffee giant announced that they’d be piloting a new Starbucks Evening menu in select locations throughout the U.S. 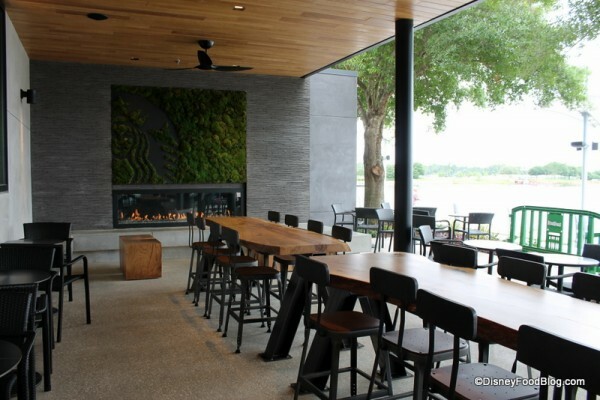 These locations would offer beer and wine as well as food to go along with the adult beverage selections. So far, the menu has been rolled out in select stores in Seattle, Portland, Los Angeles, Chicago, Washington D.C., and Atlanta. But today, we’re getting word that you can also enjoy the evening menu when you visit Walt Disney World, as the Starbucks located at Downtown Disney West Side has now joined the ranks. A Glass of Wine By the Fire? Sounds Awesome! Okay, coffee lovers… what we’ve suspected for a while now has officially been confirmed by Disney: Starbucks is coming to Hollywood Studios in February 2015! But there are a few additional details along with the announcement: we’ve also got a name! The Trolley Car Café will have a “classic trolley car station” theme. 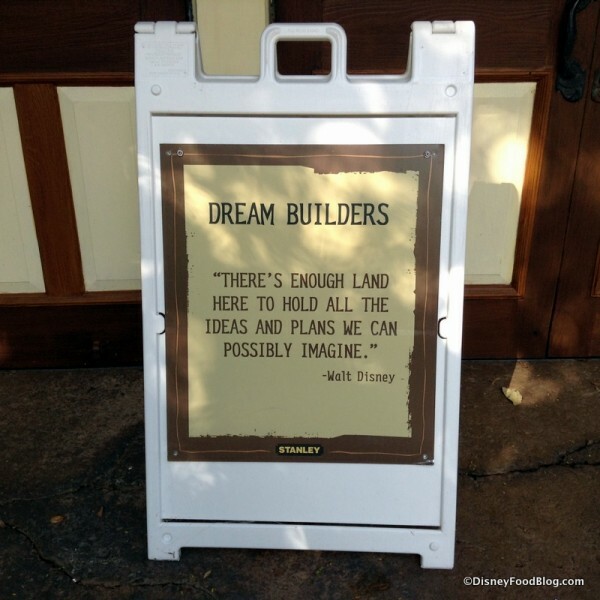 While Disney has only officially confirmed the location as being “along Hollywood Boulevard,” all signs point to the L.A. 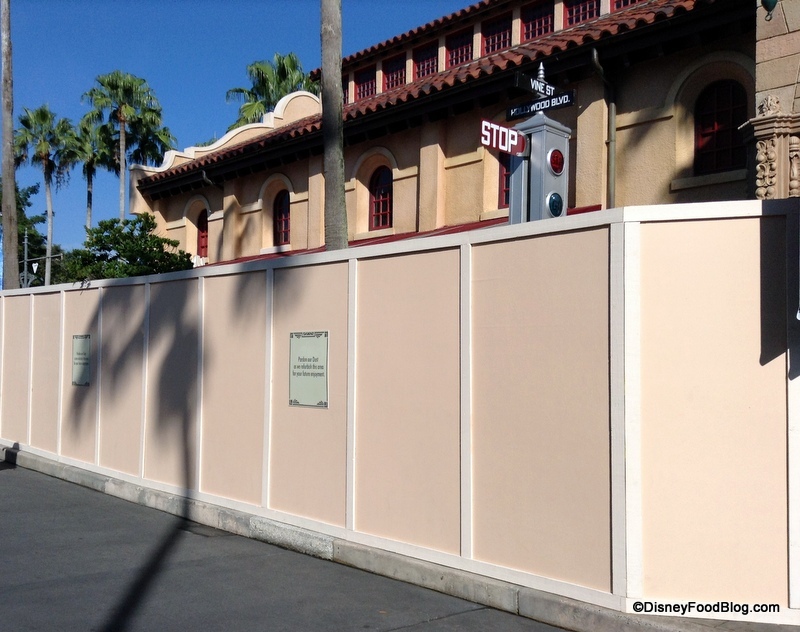 Prop Cinema Storage merchandise location, which closed for refurbishment a few months ago, and remains surrounded by refurbishment walls.